I chose the Victoria Secret dog because it’s my favorite lipgloss store and i only get my under clothing from them. I wanted to be simple my first time doing a hanging and not try to be too extra and complex. I spray painted my pieces black because black is my favorite color. 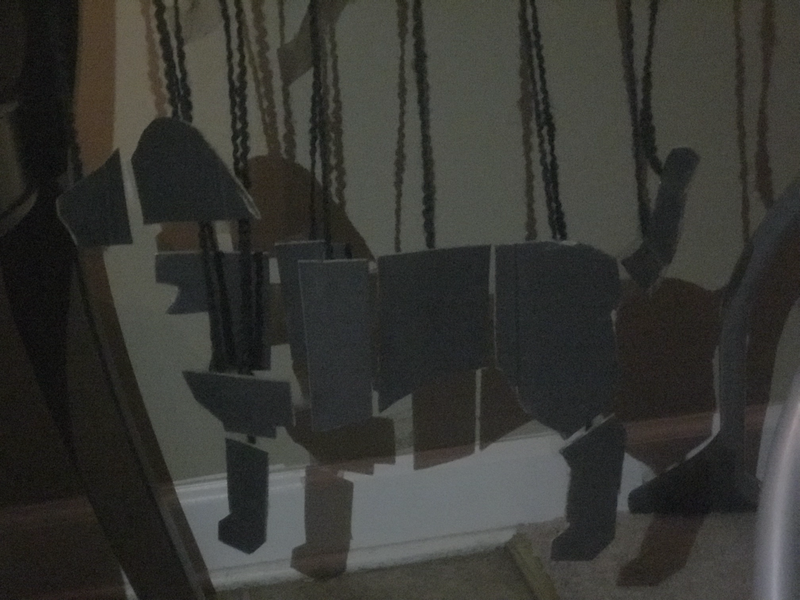 My pieces and base are made out of cardboard & hung by black string. The process of this was some what hard for me because i had to make sure the string hung correctly and created the picture. The easiest part was cutting the pieces and drawing. If i do a project like this again i would hope to spend more time on making it more challenging for myself and try it with dots and not shapes because this project was almost a complete fail. 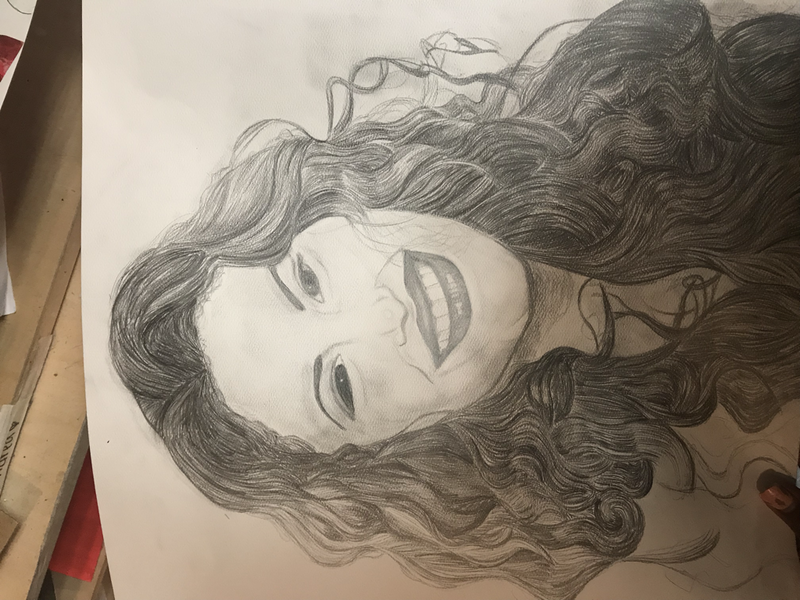 My portrait piece is of Selena Quintanilla a famous American singer. i choose her because I’ve watched her movie and just loved how they portrayed her and her music is good even tho i don’t understand the Spanish songs. For this piece my medium was pencil/graphite and white paper. I’ve never been that good at drawing portraits i could never get the human face to be identical to a picture . My skills in realism are just now getting a little stronger but i still struggle with drawing hair. The hair was the most difficult more me because it’s just messy and goes in every direction it has no real flow. The face was so hard but bc of me having to enlarge in to fill more of the paper i noticed it is off and not exactly how i would like it but I’m still happy that it’s close enough to looking like her. I would make sure my light sketch is exactly how i want it so i don’t have to go back and erase marks that are too dark and leave behind marks. I would also work on proportioning the face and placing it correctly. 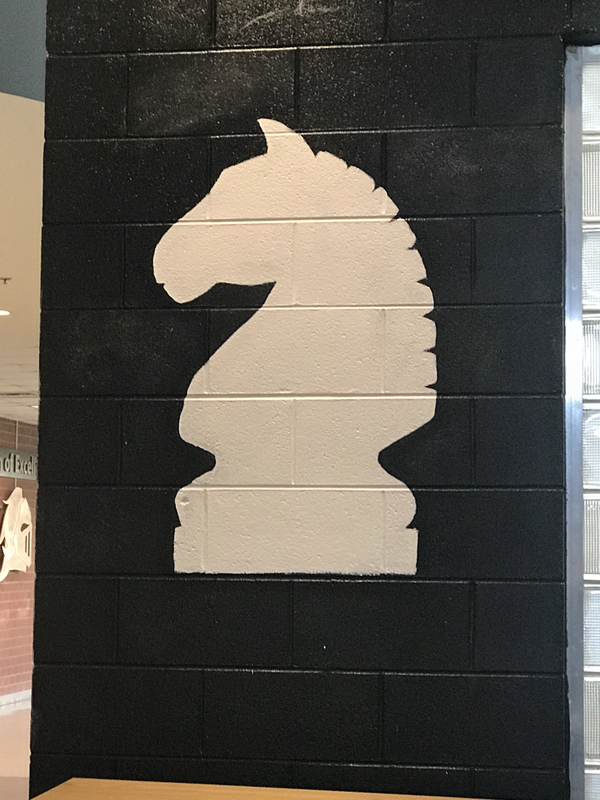 This project was done to add more to the commons areas wall. it was a group project which took a lot of angling and precision to make sure both Horses were even to eachother. 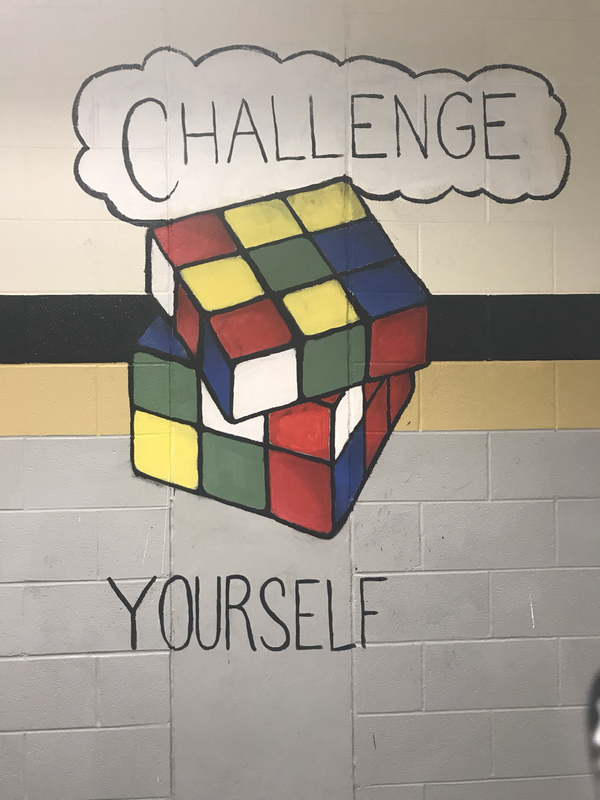 The supplies needed for this project were white paint , chalk & tape and a projector to display the picture. 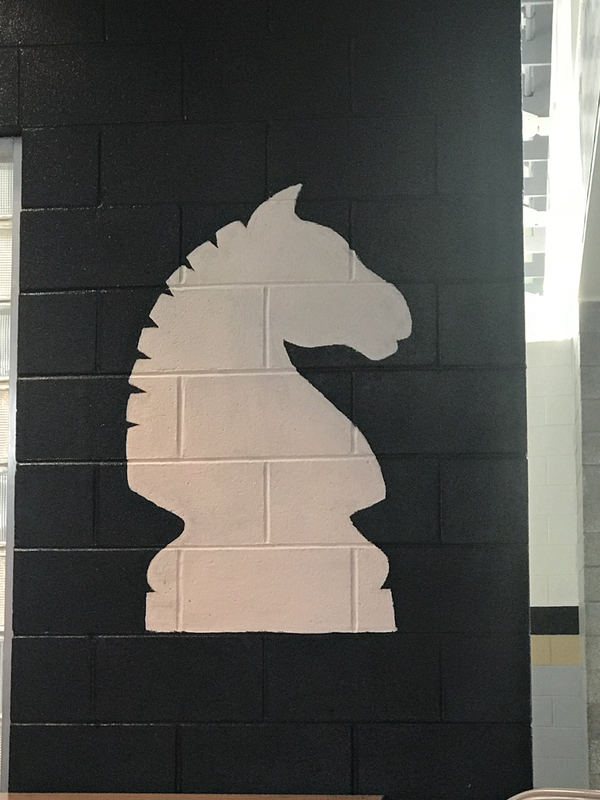 The chalk was used to trace over the image that the projector displayed on the wall which we used to make sure each horse was identical. The tape was used during the painting process to make sure our lines were clean and any paint that may have dripped some. I enjoyed this project because the group work all together was fun & small difficulties we expierenced were funny. My name is Andrea i also go by drea I’m 18 years old. I enjoy drawing although i have lost some interest in it i still continue keep myself apart of the art world. I’ve been drawing since kindergarten and it was always something i was talented in . Outside of art i love reading books and watching movies & of course eating.